A Complete Horse and Pony electric fencing kit for making a small paddock or diving existing paddocks using a battery powered electric fencing energiser. This Horse and Pony starter kit will fence 100 meters of 2 line fence. 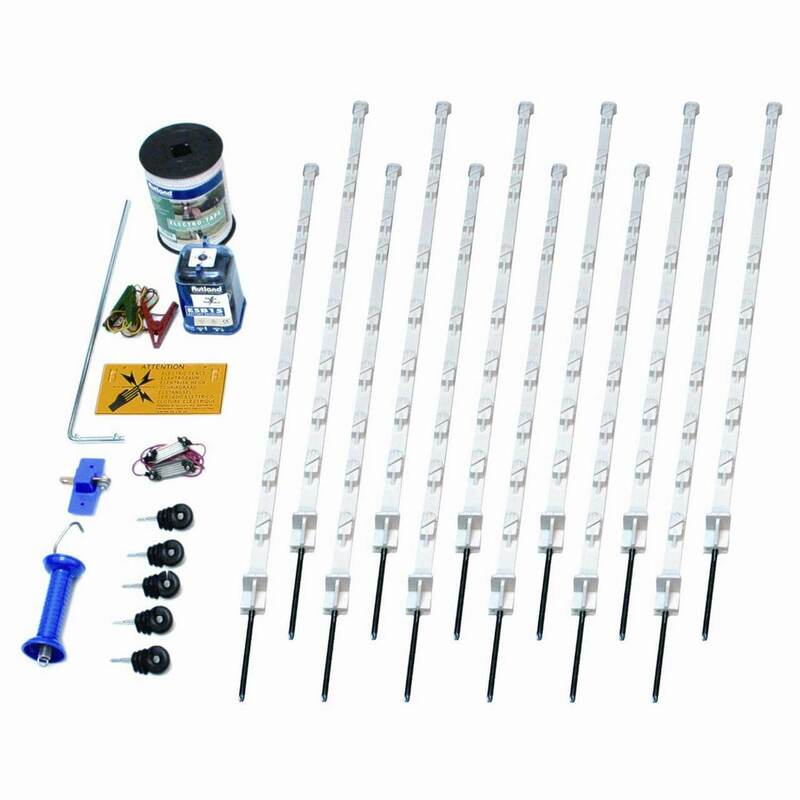 Gate handle and gate break insulator are included in the kit. 1 X 12mm x 200m white Electro-Tape. 2 lines will produce 100m.